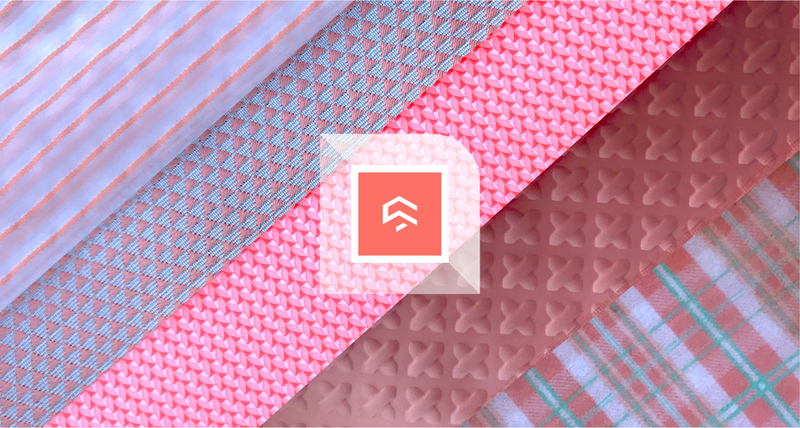 Schmid | Natural and modern: Living Coral is the Pantone Color of the Year 2019. Here are the Schmid fabrics inspired by it! If color is an equalizing lens that allows us to perceive the world around us, we cannot but appreciate the work of the Pantone Color Institute that has been carefully selecting the so-called Color of the Year for almost twenty years. A decision that designers and stylists from all over the world look forward to, since the color of the year is crucial for all issues pertaining to consumption, from technology to luxury. And to inaugurate this year, the Pantone Color Institute has decided that PANTONE 16-1546 Living Coral will be the prevailing color of 2019. Warm, vibrant, environmentalist and with a delightful retro feel, this hue embraces us with warmth and exudes optimism. Modern and reassuring at the same time, Living Coral appears in our natural surroundings and is the essence of our ecosystem. Five fabrics from the new Schmid collection recall this hue: Creu, an innovative cross thermoforming solution applied on bright satin with an elastane base; Twiggie, which combines modern PVC with a classical tartan print. Then Jazz, a jacquard fabric with slightly fluorescent hues and Tiana, another linen jacquard with lurex threads, which is bright and definitely spring-like. And, lastly, Crispy, a striped pattern sewn onto a transparent jacquard base. If you want to concretely touch these fabrics and use them to develop your products, our team is always on hand to help. To contact us, please click here.